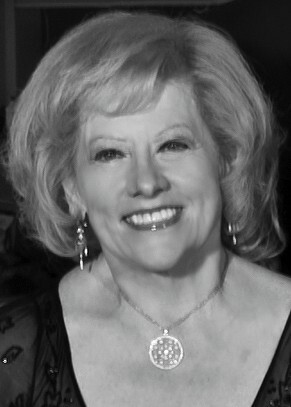 Louise Harms, longtime supporter and avid advocate for Florida Grand Opera, serves on the board of FGO and is president of the Opera Guild. In addition to her steadfast support of FGO’s annual campaign, this season she will sponsor Young Artist Daniel Shirley. Given her background as a musical theatre major, it is no surprise that Louise signed on to sponsor Daniel through his second year in the Studio. After all, she has committed both her career and her volunteer work to advancing the progress of young people through education, first as a teacher and then as principal of Filer Middle School, G. Holmes Braddock Senior High, and North Twin Lakes Elementary Schools. FGO was a Dade Partner with North Twin Lakes, and the students were frequent participants in FGO’s Student Dress Rehearsal Program for ten years. For her dedication to education, Louise has been awarded many honors, among them the Outstanding Educational Leadership Achievement Award, Nova Southeastern University; the National School Change Award, Fordham University; and the Miracle-Maker Award, Big Brothers and Big Sisters of Greater Miami. Upon retiring from Miami-Dade County Public Schools, Louise founded and incorporated her own tutoring and consulting business, Achieving Academic Excellence. Other community involvement includes her role as Senior Warden of Trinity Episcopal Cathedral and as a member of the Board of Directors of Friends of Trinity. She chairs the Continuing Education Advisory Board of Big Brothers Big Sisters, is a founder of Mt. Sinai Hospital, and a member of the Zonta Club of Miami Lakes. An active Zumba enthusiast, Louise enjoys singing and dancing to Broadway’s finest melodies with her fiancé Terry Moore, as well as making trips to the Great White Way and the Met. The couple also love cruising and sailing.